New Delhi [India], May 2 : The world has witnessed numerous instances of the lovable camaraderie between Priyanka Chopra and her 'Baywatch' co-star Dwayne Johnson. 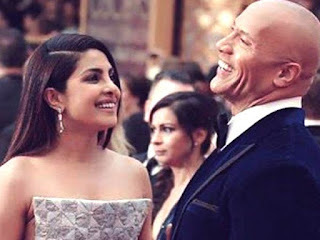 As 'The Rock' turned 45, PeeCee took to social media to share an adorable message for the 'nicest' man she has ever met. She also posted a candid picture from the red carpet at the Oscars while talking to the actor. The 'Mary Kom' star captioned the picture on her Instagram stating, "Happy birthday @therock you are one of the nicest most driven people I have ever met. Always an inspiration for everyone who works with you. Thank you for being such a positive force in everything i do. Here's wishing you tremendous love happiness and laughter!"